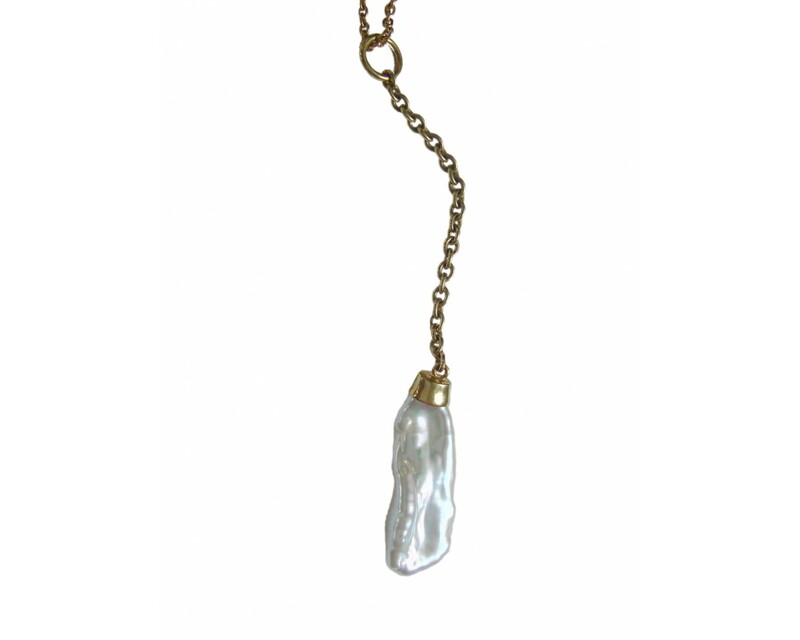 Pearl pendant with 18ct yellow gold drop chain. 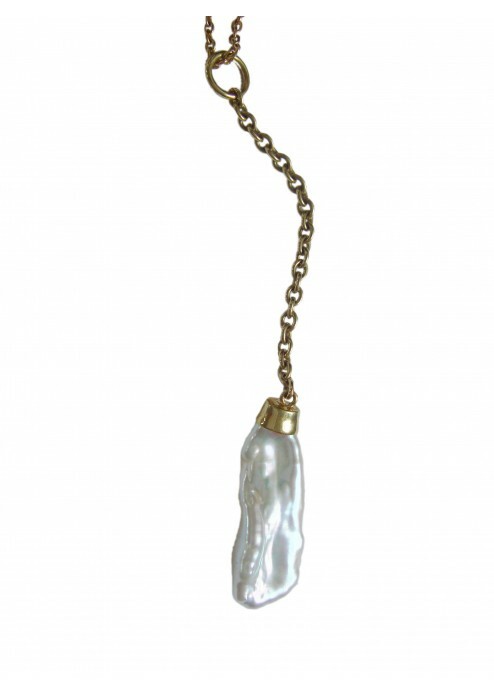 This baroque pearl is full of light and character. 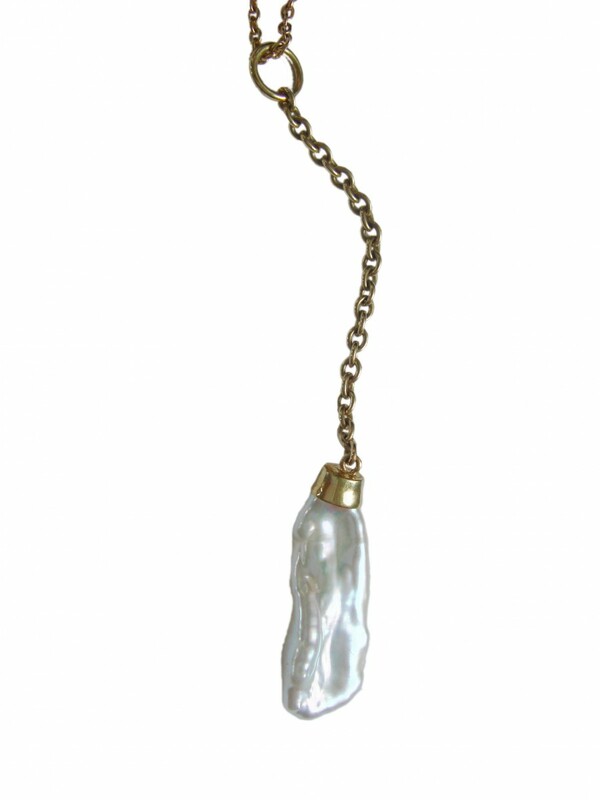 A perfect charm.